Rites of War tells the story of the universal soldier. 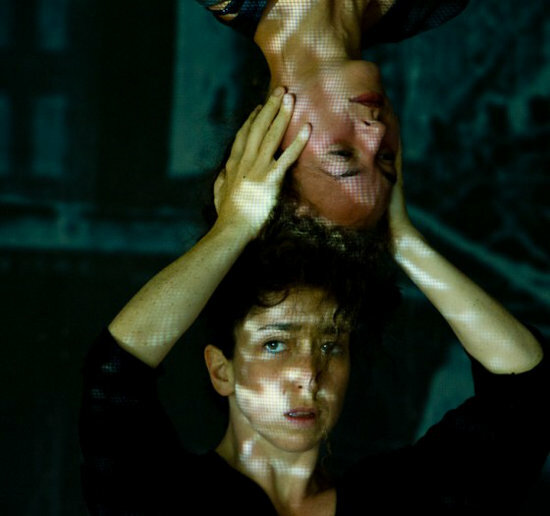 Drawing on true stories and personal histories from both WWI and current day Afghanistan, the piece weaves together their narratives using aerial dance, film, sound, live music, reportage and animation. Made in collaboration with David Loyn (BBC war correspondent) and directed by Darshan Singh Bhuller, Rites of War will coincide with the marking of the Great War and UK troops' withdrawal from Afghanistan. Revealing stories of grief, courage, betrayal, endurance, hatred, love and humour, Rites of War creates a compellingly visceral piece of theatre that directly connects the work to the world we live in. Tour dates: Spring 2014 and beyond. Support: Partnership funding, commissioning and dates/bookings. The set is formed of a free standing wooden abseil wall approximately 8 ms wide and 6 ms high, supported by a metal framework and requiring 1cwt of ballast spread across the base. It is planned that an additional ground-based free standing truss supports all aerial work. This is approximately 8 ms wide and 3 metres deep and is rectangular in shape. Free standing truss so self contained. May need back up safety lines on wall and truss but not yet known. Ballast - minimum of 1cwt on the rear of the wall spread across 8 ms. Some will be required on the free standing truss but quantity not yet known.